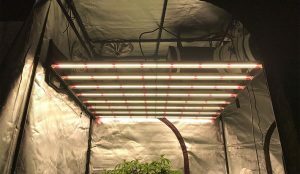 How to measure and adjust pH for soil and hydroponic gardening using Bluelab's pH pen and General Hydroponics pH Up and pH Down solutions. 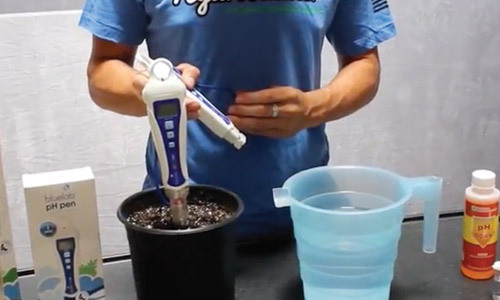 Measuring and adjusting pH of your garden is easy with these simple tools. Remember to always follow manufacturers instructions for how your specific pH pen works. Today, we will be testing with the Bluelab pH pen. Turn the unit on and ensure it is operating properly and the probe is not damaged or dried out (probe should appear clear not cloudy). Your pen must be calibrated properly before use. Ensure that it is calibrated by checking it in a pH calibration solution. If it is not reading correctly you must calibrate it before testing your solution. 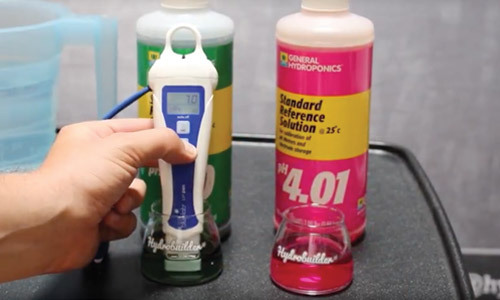 Learn more about calibrating pH pens here. Stir the solution to ensure an even distribution. Follow the manufacturer instructions to get a reading. Be sure to keep the pH pen in a central location to ensure an even reading. You want to go very slowly to start here as you do not want to overshoot by adding too much of either pH Up or Down. If you do overshoot you SHOULD NOT add the opposite solution to correct but instead dispose of the solution and start over. It's recommended to have an instrument like an eye-dropper which can add small amounts of pH adjusting solution so you can slowly adjust. 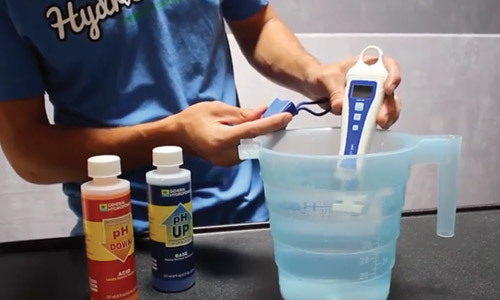 After adding a small amount of pH adjusting solution, take another reading with the pH pen. 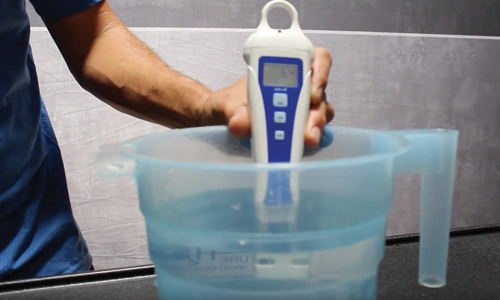 If more adjustment is needed repeat steps four and five until desired pH level is reached. 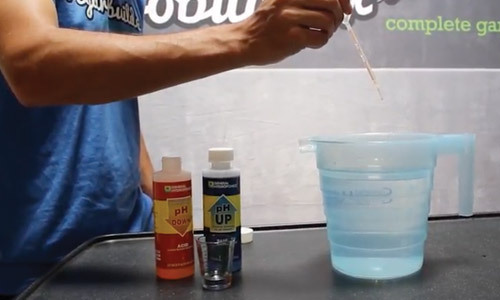 It's a good idea to take note of the amount of pH adjusting solution you added. You should do this regardless of if it is a few drops or multiple ounces (depending on volume of solution). This way the next time you need to adjust the same volume of solution you have a good idea of how much adjusting solution needs to be added. 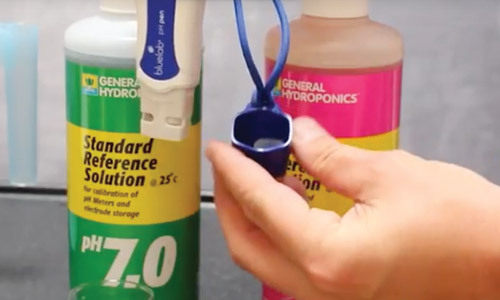 It's important to properly store pH probes in a storage solution to ensure they do not dry out and become damaged. 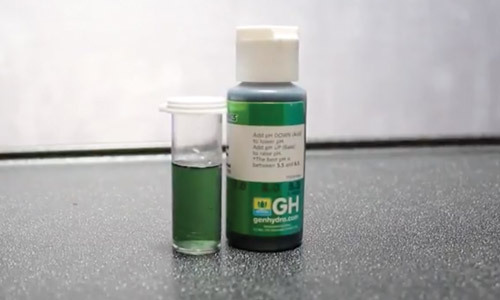 Follow the same steps above and replace the use of the pH pen with taking samples and adding the proper amount of pH testing solution to each sample.